Chico Lourant チコ・ローラント (above, left), star of the 1964 Japanese film, Black Sun 黒い太陽, is largely unknown. At the time of writing this post, there was little trace of him on the internet. The abandoned church (above, center) that serves as the film’s prophetic setting is equally obscure. Tamio Kawachi (above, right) rounds out this oddball film. Update: I am saddened to hear that Chico Lourant passed away on July 20, 2015 (see attached for his obituary). Recent events have pointed a spotlight on Japan’s attitudes towards race. There was the writer, Ayako Sono 曽野 綾子, whose comments on apartheid were widely censured by the English-language internet. 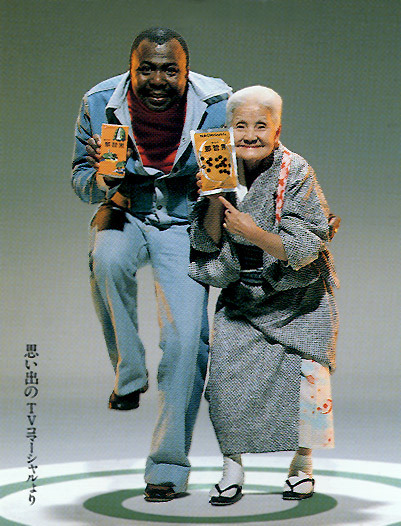 There was the “Music Fair” incident: Fuji TV planned to broadcast a blackface ブラックフェイス performance on a musical variety show, scrapping it because of a change.org petition. Or the case of Ariana Miyamoto 宮本 エリアナ, Miss Universe Japan 2015, who faced criticism for being a mixed-race hafu ハーフ instead of “pure” Japanese. These incidents do not speak for all of Japan; Ms. Sono’s apartheid comments were widely criticized, the blackface segment was abandoned due to public protest, and Ms. Miyamoto has many supporters. But these incidents do say something about Japan. 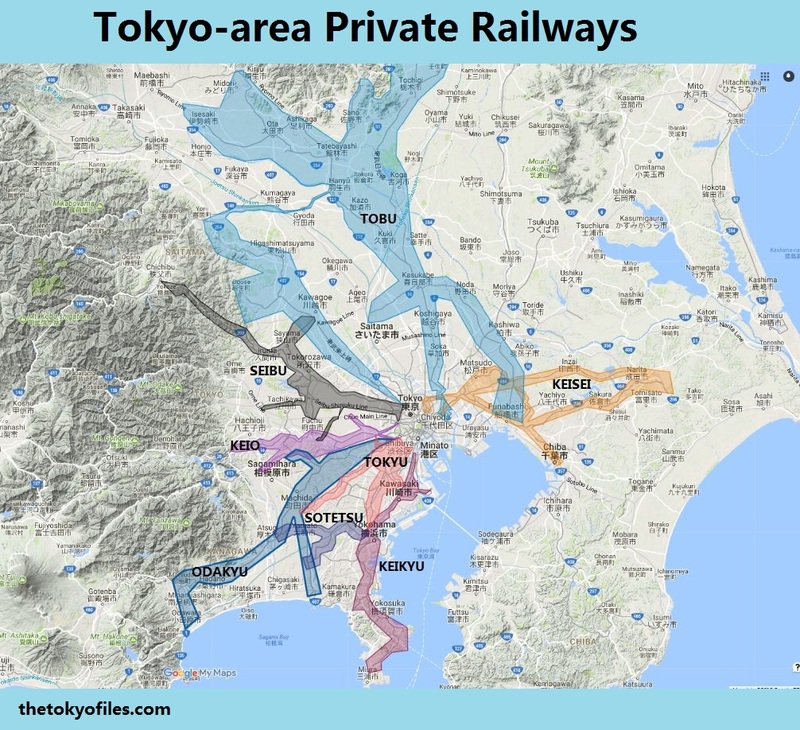 I’m too cautious to draw broad conclusions about Japan in general; the issues are too complex and I know far too little. However, I am comfortable positing that Japan is more tolerant of other races than it was roughly 100 years ago. 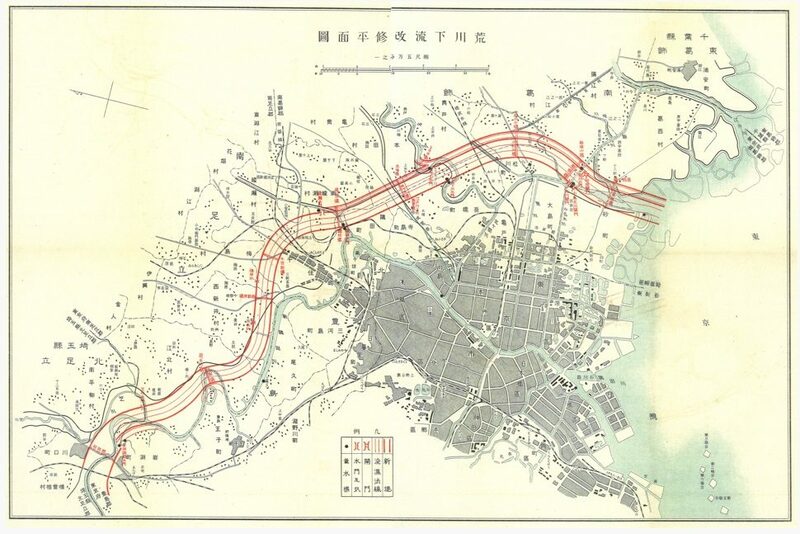 Today we are unlikely to witness a massacre on the order of what happened following the 1923 Great Kantō earthquake 関東大震災, in which an estimated 6,000 Koreans, Chinese and Japanese (mistaken for Koreans) were killed by angry mobs reacting to unconfirmed rumors that Koreans were rioting 朝鮮人虐殺事件 (The Japan Times). Similarly, racism was almost certainly a factor during the height of Japanese imperialism. Japan has seemingly evolved towards a wider acceptance of other “races”, but there is no promise that this trend will continue. As we contemplate Japan’s attitudes towards race, let me provide a rather interesting data point, the 1964 Japanese film, Black Sun 黒い太陽 Kuroi taiyō. The film, directed by Koreyoshi Kurahara 蔵原惟繕, feels wild and subversive. It could be mistaken for the work of a cult filmmaker. But Kurahara is a director of popular works with a career spanning almost 40 years. It is exactly Kurahara’s accessibility that makes Black Sun’s dangerous exploration of racial identity so watchable. 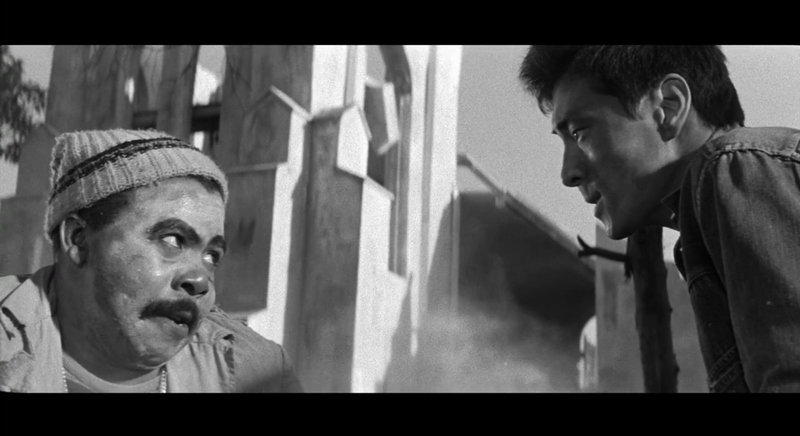 This scene is reminiscent of the opening scene of The Warped Ones 狂熱の季節 (1960) a film also directed by Kurahara and starring Kawaji as Akira, an even more troubled young man. Though not a sequel, Black Sun is considered a spiritual to The Warped Ones because of the similar jazzy scores, visual templates, and nihilistic world view. After watching Black Sun, it is interesting to see The Warped Ones open with Kawaji and Chico sharing a drink in a jazz bar – perhaps the very same bar from Black Sun. Jazz music pulses throughout the scene, and the camera jumps between close-ups of black Jazz musicians on the wall. It is pure speculation on my part, but the idea behind filming Black Sun may have originated in this scene from The Warped Ones. Arthur “Chico” Lourant was an American soldier who served in Korea and found steady work in Japanese film and television in the 1960’s. In Japanese he was billed as チコ・ローランド, a decent translation of “Chico Lourant”, though the last name ローラント seems to have morphed into “Roland”, which is a simpler translation of ローランド. Most articles on the internet refer to him as “Chico Roland”. In Japanese, the R and L sound are combined, so the katakana letter ロ can be RO or LO, and ラ can be RA or LA. As a result, “Lourant” and “Roland” would be spelled almost the same in Japanese. Chico’s film credits also include a turn as a beleaguered priest trying to save the soul of a wayward prostitute in Gate of Flesh 肉体の門 (1964). Chico can’t seem to get away from abandoned churches in 1964. The film stars Joe Shishido 宍戸 錠, a WW2 returnee who befriends a clan of brazen prostitutes and comes to grips with a defeated Japan. Directed by the iconoclastic Seijun Suzuki 鈴木 清順, Gate of Flesh is more well known than Black Sun, and provide Chico with a smaller, but equally strange and memorable role. In Genocide 昆虫大戦争 (1968), aka War of the Insects, abandoned churches are the least of Chico’s worries. The following clip has a fair amount of Chico’s acting. This appears to be a pretty awful film, but I can’t wait to watch it. Chico Lourant and Tamio Kawachi are the stars of Black Sun, but the abandoned church that serves as their hideaway is a solid supporting actor. Just as the story of race in Japan is complex, so too is the role of Christianity. There is no exact analogy between jazz music and Christianity, but I suspect that the filmmakers set Black Sun in an abandoned church precisely because of its complex history in Japan, from its introduction in 16th century Nagasaki, the “hidden Christians” Kakure Kirishitan 隠れキリシタン of the 17th century, and the role of Christian missionaries during Japan’s Westernization of the Meiji era (Waseda University 早稲田大学, for example, is one of the oldest and most prestigious universities in Japan). At the center of the green “Y” is Shibuya station, which is surrounded by several slopes. Below is a Google Earth aerial image taken from above Shibuya Station, looking towards Ebisu, followed by a map of the route from Shibuya Station to the church’s location. I spent several hours searching for an image to match the scene from Black Sun, using search terms such as “1960s Tokyo Train station”. The winning photograph came from the Shibuya Photo Museum「渋谷フォトミュージアム」, a project of the Tokyu Corporation 東京急行電鉄株式会社. Below, left, is a stitched image from Black Sun, next to a 1963 photograph showing the construction of the Shibuya Tokyu Building「渋谷東急ビル」, now Tokyu Plaza Shibuya 東急プラザ 渋谷 (map, Wikipedia, photo source: Shibuya Photo Museum). This photograph clearly places the church in Shibuya. As far as the specific location two pieces of evidence are helpful. The first comes from a scene filmed at dawn, at the 36-minute mark. 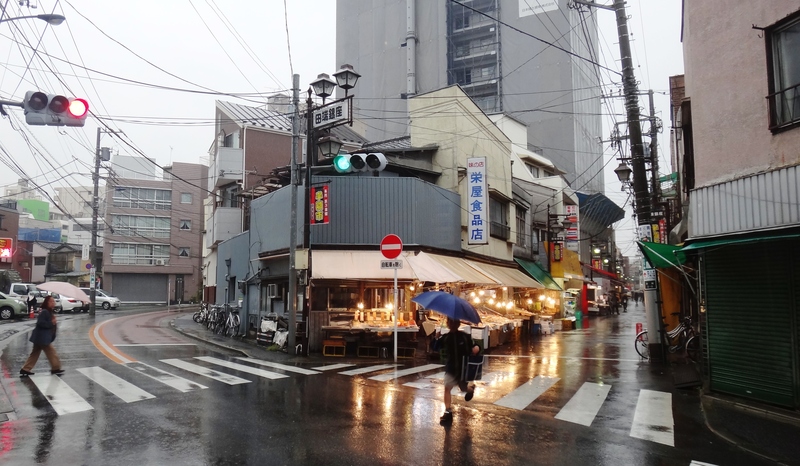 Starting from the dull, crampled buildings in front of the church and panning east towards Tokyo Tower and the rising sun. Here’s a stitch from this scene, taken from the perspective of the church, looking northeast. Here is roughly the same scene, taken in 2014 (map). Virtually nothing from 1964 is the same today, with the exception of one building. Below, left, is a detail from the dawn scene in Black Sun. The building at left has a thin square vent or smokestack at top. This building seems to have survived until today, despite the notoriously short lives of buildings in Japan. It is the Second Oka Yamazaki building 第二岡﨑ビル (map). Another helpful scene is around the 9:30 mark. Mei is driving his car from the Shibuya Station up the hill towards the church. The camera is mounted on the front of the car and there is only one cut during this scene. Below, left, is a frame from Black Sun, making note of a tiled-roof house to the left of the street. Here is a photo from roughly the same location today. This may just be a coincidence, but today a tiled-roof house sits in the same location. The church is long gone, having apparently been demolished during filming of Black Sun in 1964. Today, the location is home of Yamaha Electone City Shibuya ヤマハエレクトーンシティ渋谷 (Streetview; map), which is a Yamaha concert hall. Although the church from Black Sun is gone, another church is located on the hill, two doors away from the Yamaha building. It is Nakashibuya Church 中渋谷教会 (website, Wikipedia, map). This church was built in 1975, and the location was purchased in 1935. 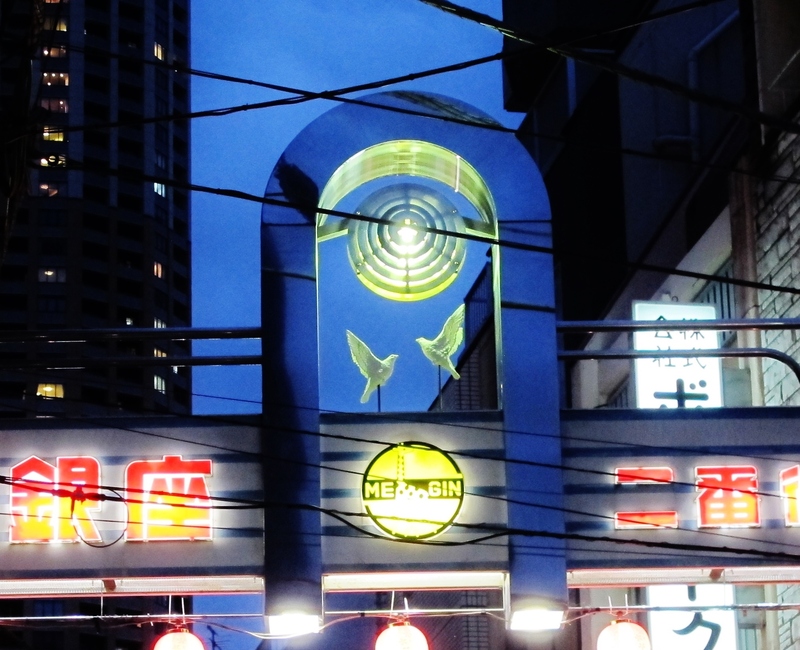 It is possible that this is the actual location of the Black Sun church, but the evidence suggests that the neighboring Yamaha building (or the Japan University of Economics, Shibuya campus 日本経済大学 渋谷キャンパス 都築育英学園), which sits between the two (map). I’d like to learn more about the history of the Black Sun church, but for now I’m content knowing its location. Similarly, I wonder whatever happened to Chico Lourant. Did he return to the United States and ride into the Tucson sunset? Or is is still in Japan, haunting the hills of Shibuya, trying to recapture the time when he starred alongside Japan’s greatest stars? The Warped Ones was first marketed in the United States as a sexploitation film called “The Weird Love Makers”. The Warped Ones 狂熱の季節 (1960), is part of the “sun tribe” movement (taiyozoku 太陽族), characterized by hedonistic youth, and often associated with sunglasses, Hawaiian shirts, and the seaside. The sub tribe is a Japanese analogue to the rebels typified in America by James Dean. In The Warped Ones, Tamio Kawaji stars as an even more troubled young man named Akira. Reviewers of Black Sun, including the Wikipedia entry, often list Kawaji’s character in Black Sun as Akira, though other sources, including my watching of the film, indicate that his character in Black Sun is named Mei. * Chico’s last name, Lourant, translates phonetically as ローラント. In Japanese, lo/ro and la/ra are the same sound. It seems that in translating ローラント to English, it was mistakenly interpreted as ‘Roland’, as opposed to ‘Lourant’; this results in a slightly different spelling in katakana as well: ローランド. In the French poster, he is credited as “Chico Lourant”, and is shown at the bottom right of that poster. His face also appears on the Japanese poster. In the trailer to the film, below, his unflattering close-up is the result of a killer bee attack. I photocopied the Ebony article for you. And I have many photos of Chico. I can mail them to you. Or if you live in the Tokyo area, perhaps we can meet during Golden Week. Allan, sorry for not responding sooner. Things have been busy!! 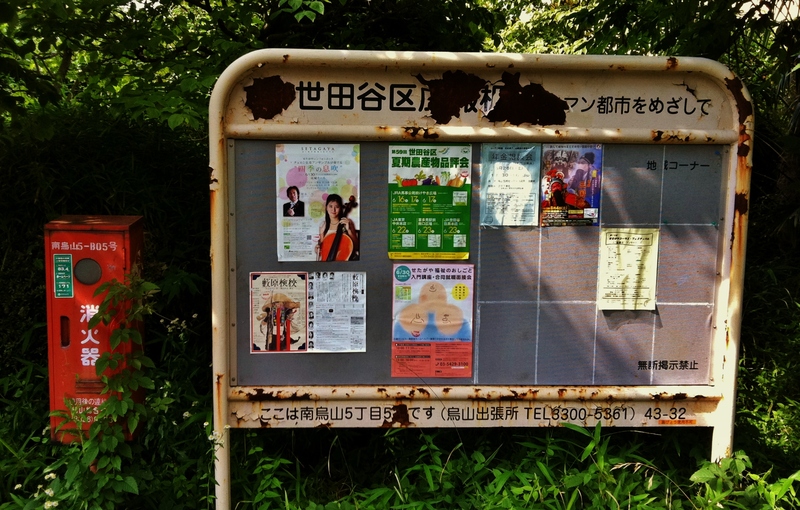 I’m not currently in the Tokyo area, but visit quite frequently. Unfortunately I’m not around during Golden Week. Good morning Clark, A pity about GW. Do let me know about your next trip to Tokyo. Sent some photos to Pearl – no word back yet. Doing my best. pklourant@yahoo.com, I would greatly appreciate it. Yesterday was the 9 month anniversary of his passing..still can not believe he is gone..
You are to kind Allan. Ooops, I clicked the wrong button and my message disappeared. I was very pleased to find your website. I am researching the archives of Clifford Harrington. Cliff wrote the Ebony article. I have at least a dozen photos of Chico and Katsuko Nagano and on the set shots with Akira Kobayashi, etc. I sill be leased to share them with you and the Lourant family. Thank you very much for sharing this information! I took a quick look at the project, but will go back to read more. The film, “The Yakuza”, is one that I watched before ever visiting Japan, and is one of the films that initially made me interested in visiting. And yes, I’d be very interested in seeing the photos you mentioned! Hi Pearl, I am sorry for your loss, but at the same time, I’m glad to hear that you’ve seen that there are so many people who have enjoyed your father’s films! I wish you and your family the best. Very sorry to hear about your loss. I’ve only just discovered Clark’s site. I have about a dozen unpublished photographs of Chico at a movie studio in Tokyo. They were taken by his friend Cliff Harrington who wrote the Ebony article. Will get the photos to you asap. Am sure they will warm your heart. This is great! It is my dream to curate a retrospective of Chico’s films. Gate of Flesh is terrific and you should watch it. He is also known from getting castrated by Sonny Chiba’s bare hands in The StreetFighter and Genocide. I tracked down his son years ago on My Space and he was living in Arizona and very sick back then. His son lives in Japan and is also named Chico Lourant so you may be able to get more information from him. Thanks for the note, and for the recommendations. I had heard Chico was in The StreetFighter, but I didn’t know about the castration. Yikes!